With the surprise breakthrough by the far-right in the first round of the French presidential poll, political pundits now say their supporters are in a key position to decide who becomes France’s next leader. ­Marine Le Pen’s National Front has demonstrated an unexpectedly strong performance in the first round, taking a record 18.06 per cent to grab third place. Thus setting a record score for the far-right in history and beating the results achieved by the elder Le Pen in 2002. Her father, Jean-Marie Le Pen, the founder of the National Front, stunned France in 2002 by winning 16.8 per cent of the first-round vote, beating Socialist Lionel Jospin to face conservative Jacques Chirac in a runoff. Now his daughter is set to interfere in the upcoming race. 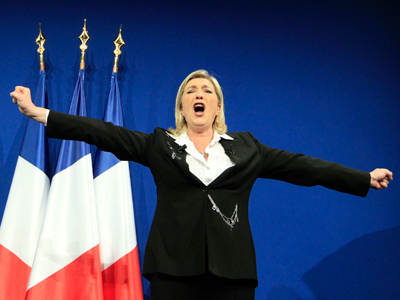 "The battle of France has only just begun," Marine Le Pen told supporters on Sunday. Media reports suggest she would give her view on the run-off at a May Day rally in Paris next week. 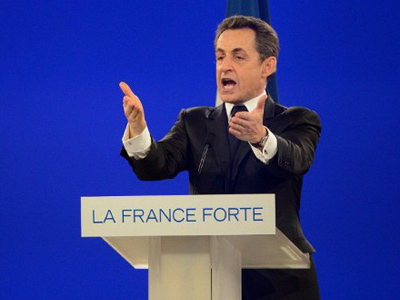 Meanwhile, pollsters differ in their estimates of how many of her supporters would swing behind Sarkozy, after he was trying hard to win over right-wing voters with hard-line policies on immigration, French jobs and the euro. The first opinion polls suggest the majority would still back the incumbent president. 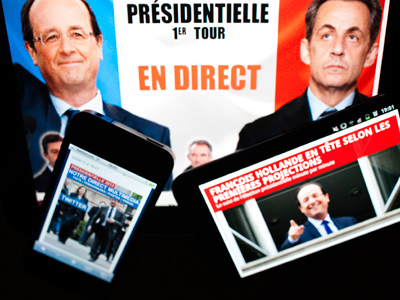 Political writer Diana Johnson however has told RT that Marine herself will prefer to support Francois Hollande. “She said she wants to be the leader of the opposition. 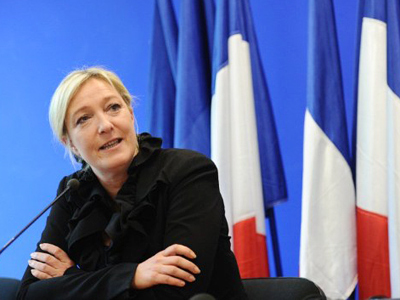 Now that Sarkozy will fail, she will become the leader of the right opposition to the left-wing government,” she explained. There is yet another force able to bear down the second round. Far-left candidate Jean-Luc Melenchon finished fourth in the first round with 11 per cent of the vote. 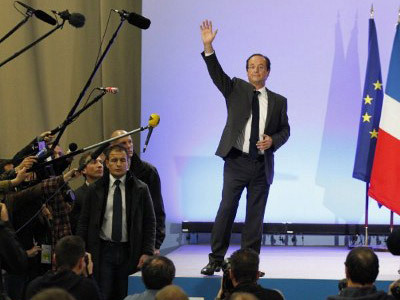 Backed by the Communist Party, he called on his supporters to put an end to the Sarkozy era and support Socialist Party candidate Francois Hollande.